As you know, I ran a little promotion/giveaway at the end of summer. I was looking for one dedicated new mom to follow #GlowingMama101, my comprehensive fitness and nutrition plan, for 6 weeks. Meet Alice. We started working out right at 6 weeks post birth. This is her first child and she has been struggling to get accustomed to the changes in her life and in her body after giving birth. This is something most, if not all, new moms can relate to! Some of the biggest struggles for her included adapting to getting very little sleep, eating right for a new and breastfeeding mom, as well as the physical damage that pregnancy and childbirth created. On top of all that, she was feeling heavy and uncomfortable in her body. Exercise for new moms is not about doing HIIT and killing yourself to melt the fat away. It’s about healing the body gently, increasing strength and endurance progressively to allow you to heal in the first few months after giving birth. However, with proper nutrition, movement, core engagement and postural training, paired with breastfeeding and the constant work of being a mom, you can start to see big results, quickly. 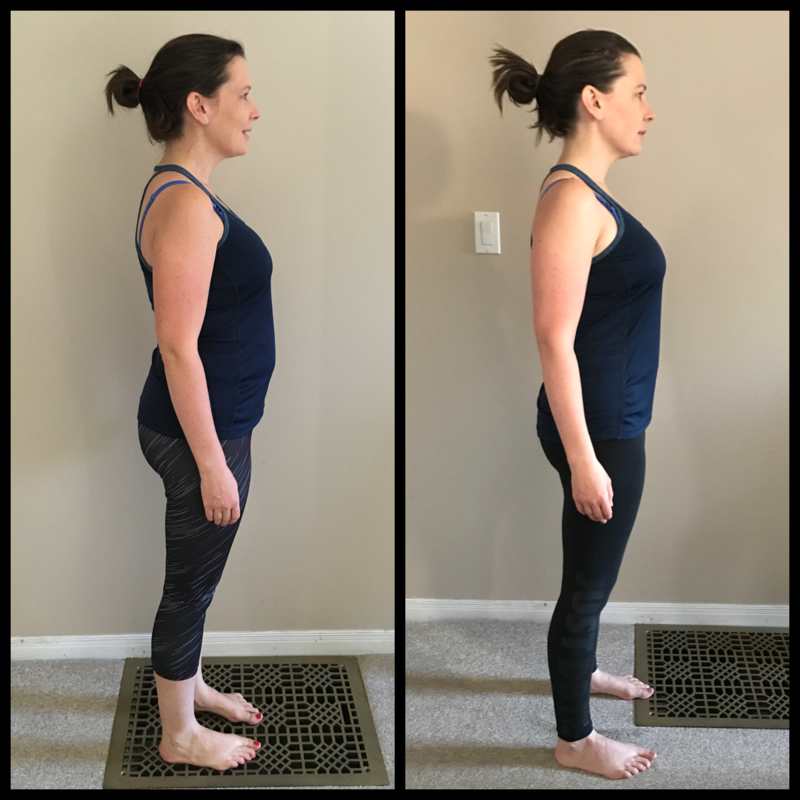 Now that the core is rehabilitated, we can start to move into more intense workouts that will allow her body to continue to decrease body fat and avoid a plateau. So here is the big reveal! 6 weeks later, Alice is looking fantastic! I want you to notice not only how much slimmer she looks. Also note the postural changes. This is a major part of post birth recovery. You want to ensure you are able to hold your body in an optimal way to protect the joints. Don’t miss out on your opportunity to get into the best shape of your life after pregnancy and childbirth! Join Glowing Mama 101 now!